This post will show you how to use the Past Perfect Progressive (also called the Past Perfect Continuous). To see how to form the Past Perfect Progressive, click here. The Past Perfect Progressive expresses the relationship in time between two past events, similar to the Past Perfect. However, the Past Perfect Progressive emphasizes that the first event was ongoing and continued up to or just before the second event. For and since often show how long a situation lasted before the second past event. The Past Perfect Progressive is often used in sentences using past time clauses. Certain common verbs can be used with the Past Perfect and the Past Perfect Progressive with little or no difference in meaning, but using the Progressive can show a more intense or emotional situation. The Past Perfect can express a completed action that may or may not have happened recently. In contrast, the Past Perfect Progressive suggests that an action was continuing up to or ended just before a specific time in the past. We do not use the Past Perfect Progressive to tell how many times an action is repeated. Both the Past Perfect and the Past Perfect Progressive are used to provide background information about earlier events. They are used to give reasons with because, express contrasts with although or even though, and are used to draw conclusions. This post will show you how to use the Past Progressive (also called the Past Continuous). To see how to form the Past Progressive, click here. We use the Past Progressive to talk about activities that were in progress (happening) at a specific time in the past. This may be an exact moment in the past or a longer period of time. It wasn’t raining at lunch time, it was snowing. You were acting weird last night. I was studying in Brasilia in 2010. The Past Progressive expresses an ongoing past activity that may or may not be completed. Sentences with two past time clauses describe the order in which two past events happened. When the verbs in both the time clause and the main clause are in the Past Progressive, the events were simultaneous (happening at the same time). When you were studying, I was working. They were playing hockey while we were shopping. When one verb is in the Past Simple and the other in the Past Progressive, it shows that one event interrupted the other. The event in the Past Progressive started first and was interrupted by the Past Simple event. When or while begins the time clause, which uses the Past Progressive. While we were eating dinner, the phone rang. She ran into Adam when she was walking to school. The Past Progressive often appears at the beginning of a narrative to describe background activities. It can express several background activities happening at the same time as the main event. The main even is in the Past Simple. It was raining hard outside and my roommate was taking a shower. At exactly 7:10, there was a huge clap of thunder. I jumped up as the house shook violently. When we arrived at the stadium, the home team was winning, all the fans were cheering, and my heart was racing with excitement. This post will show you how to form the Past Simple. To see how to use the Past Simple, click here. You went to school in the morning. You didn’t see me after class. She/He/It didn’t rain last week. We didn’t run into trouble. They/You (plural) didn’t finish your homework. Did I lose my keys? Did she/he/it go to work? Did we drive too far? Did they/you (plural) have a good time? Yes, I did. No, I didn’t. Yes, you did. No, you didn’t. Yes, she/he/it did. No, she/he/it didn’t. Yes, we did. No, we didn’t. Yes, they/you did. No, they/you didn’t. I used to get up early. You used to drink coffee. She/He/It used to be hers. We used to dance every weekend. They/You (plural) used to play in the park. I didn’t use to like him. You didn’t use to smoke cigarettes. She/he/it didn’t use to walk to school. We didn’t use to travel so often. They/you (plural) didn’t use to go to school. Did I use to be so selfish? Did you use to live in Argentina? Did she/he/it used to get start later? Did we use to play on Saturdays or Sundays? Did they/you use to eat lots of junk food? Why did I use to love him? When did you use to live in Miami? Where did they use to eat out? Who used to run marathons? What used to be over there? Do not use did in information questions when who or what is the subject. Use used to with these questions. This post will show you how to use the Past Simple and Used To. To see how to form the Past Simple and Used To, click here. We use the Past Simple to talk about a state or action that started and finished in the past. We use time expressions to describe the time period. She lived in Tokyo in 2010. We went to school yesterday. They played hockey on Saturday. Winter was cold last year. The actions or states can happen in the recent past (a short time ago), or the distant past (a long time ago). He arrived ten minutes ago. They moved to Dubai in 2001. She felt tired yesterday. He was very sick last year. The actions or states can last for a short or long period of time. The rain lasted for five minutes. The rain lasted for days. I worked there for two weeks. I worked there for 12 years. The actions or states can happen once, or repeatedly. He moved to Seoul in 2008. He always walked to work. She arrived late yesterday. She always arrived late. Used to suggests that a habit or situation was true in the past, but is not true now. We use used to for repeated or habitual actions or states that started and finished in the past. Do not use it for actions or states that happened only once. Adverbs of frequency and other time expressions with used to emphasize the repeated actions or states. He used to smoke, but he quit last year. We often used to visit my grandparents before they passed away. She used to live in Sidney before she moved to Prague. 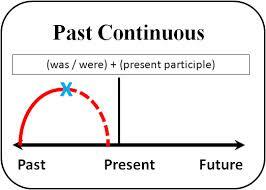 You can use the Simple Present with time expressions to show how a present situation is different from the past. I used to watch TV after school. Now I don’t have time for that. People used to get their new from newspapers or the radio. These days most people get their news from the internet.